This modern doll house provides endless hours of fun by playing pretend family or doll family play. Modern Doll House from Classic World is specially made with modern elements and encourages imaginative play, features a swimming pool, a car park and a greenhouse. 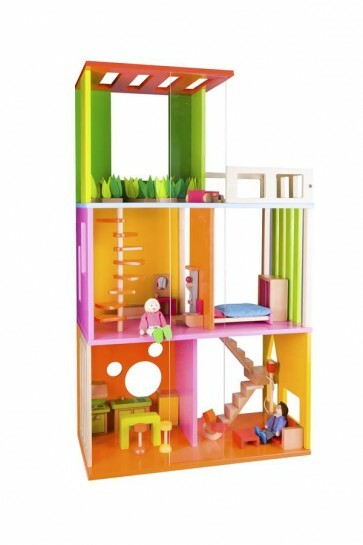 This modern doll house is built to inspire hours of fun and perfect size for a small family.